I wanted to join Pakistan Army but i couldn't then i pray to Allah for blessing me a Son so that i can fulfill my dreams by him but Allah gave me daughter i was soo disappointed but Allah's decisions are better than human plans. Now my daughter is doctor in Army Alhamdulillah. Salam my army! Dear army of you can see this post of mine then please read and reply me soon. I know only man with strong power can go in army and those lacking can't join. My dear heroes i know that i also don't have that strong man in me because I'm patient of stomach by birth! But believe me ALHAMD O LILLAH I've good brain which can somehow serve you! I had an opportunity to do MBBS from khairpur Sindh but due to extreme climate i didn't went there because of my disorder now I'm still at home worrying for my future because of having no chance to study.! So dear army please take me with you too I'll do what ever you'll say! Thank you, Your faithfully! I love Pakistan Army .. Pak faoj ko slam ..
Genl Mr Raheel Shareef ....agar pakistan ko bachana hy to apko Amali tour par medan me anna hoga. warna ye seyasat dan ..bero cerase..mideya,,mazhabi jaamaten... Dushmaan k haton bik Chukey Hny...PAKISTANI AWAAM.. ke DARKHUAST..
We should support our pak army now a days people are taking cricket matches too seriously i think we should eye on these heroes. 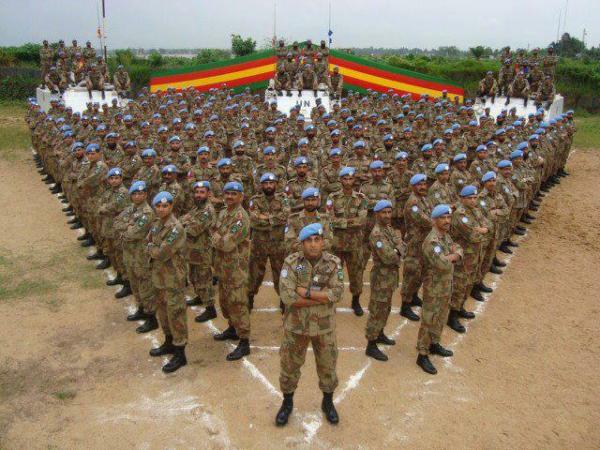 pak army i salute you for everything you did for us Allah will grant you all Jannah and there you will live forever. PAK ARMY ZINDABAD PAK ARMY PAENDABAD. I LOVE PAK ARMY I SALUTE 2 PAK ARMY. pak army zindabad you are true heroes we proud on our soldiers and APS incident is the prove that we are not coward and we are not scared of anything except Allah. My uncle's son was in Peshawar Army School he wanted to see his son in Army he is also retired from Army he was very sad that he could not earn the medal of Shaheed but his wish become true by his son his 14 years son got shaheed in that incident. I felt very bad when i heard the news of Peshawar Attack i was not in Pakistan when all this happen i am stuck here in Australia i condemn this act my brother son is alive but his all friends got killed... Thank you Pak Army. Hats off the to Pak Army The incident happened on Tuesday at Peshawar Army School can neverr be forget nor be ignored, they all have lifted in Heaven who were victimized in school, teachers student and everyone else who were killed in school. Pakistan Army Zindabad i will join Pak Army In Sha Allah i have the passion and my passion will become my profession i want to give every drop of my blood to my nation. PAK ARMY i love you most of my family member and relatives are in in PAK army and i will also join the army in age of 20 now i am just 15 years old i am in school i will done inter and then join army. I am very proud that my Son just has joined Pak Army he is my son and he raise my head up on his dissension i am very happy to be the father of son who is the son of whole nation. I want to join Pakistan Army but my parents not allowing me to join i love the army i want to see my self as a solider with those badges and pride on face, i wanna live the life of pride, i wanna make aim and my aim is to be in army and serve for it. My name is zulfiqar nabi .and i m frm chitral and here in chitral i belong to a khushwaqt family...i want to jion pak army ...pak army xinda bad.pakistan paenda bad..and pak army is only the brave and clver army of the world..
We feel proud in our pak army because they doing a good job for saving the flood victim in the several parts of punjab. I love and like pak army very much. Pak army is the best army in the World! So I Love pak army very much. Pak Army ko sare Pakistan ka operation karna chahy .sari awam Pak Army k sath hai.all love with Pak Army .aur zarb e azb operation me Khuda aur Pakistan ki Awam sath sath hai.. I Silute to all Soldiers who sacrifice their today to save our future.. Pak Armies ZINDABAD,Pakistan Paindabad.. I live you so much pakistan army. and pakistan. Hamen fakhr ha pak army k jawanon par. Allha mery pakistan aur pak army apni hifzoaman men rajhy. . i live my pakistan army.